DumpPrinters utility is a troubleshooting tool which is designed to collect all the information about printers in order to troubleshoot issues related to printer redirection and incorrect printout. When troubleshooting printer redirection issues tool should be executed on the client side only. For incorrect printout issues, tools should be executed on both: client side and in the remote session. 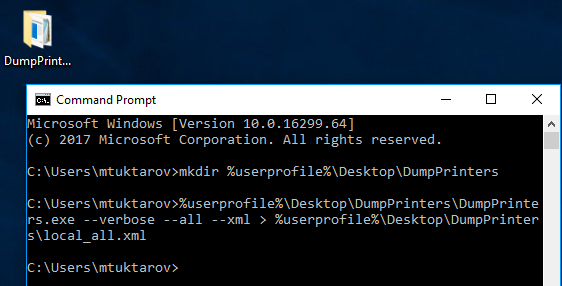 Download DumpPrinters utility on the local machine and place it in the created DumpPrinters folder. Open this file and make sure that it is not empty. Compress and send this file to Parallels Support team when it is requested. In the left pane navigate to Publishing and click on Add button. Choose Desktop and publish the Desktop of required resource (RD Session Host, PC Agent or Guest Agent). Hit Apply button in the bottom-right corner to save the changes. On the client side open Parallels Client and launch published Desktop. Make sure that required printer has been successfully redirected and is available to use. Download DumpPrinters utility and place it in the created DumpPrinters folder on the published Desktop. Copy this file on the local Desktop.